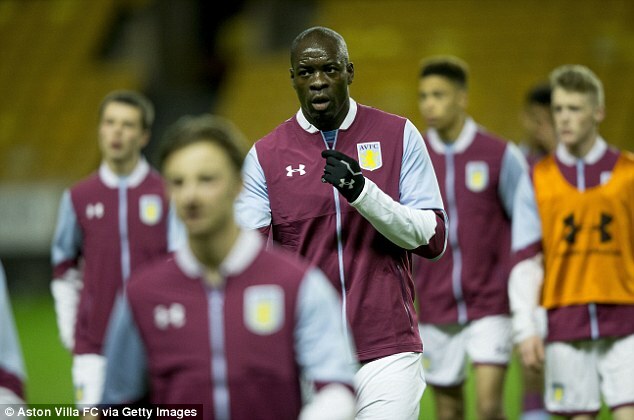 English Championship side Aston Villa have been undergoing a massive transformation this term. It is hard to imagine that this is the same team that competed in the top flight only few months ago. Bruce has been trying to get the balance right in the team and he would have to decide on Chris Samba within the next few days. The 32-year old featured in the club’s feeder team that played Wolves at Molineux on Monday. He was with Greek outfit Panathinaikos but he has been training with the club since his contract release. The former Blackburn defender played over 150 Premier League games but he joined Russian club Anzhi Makhachkala in 2012. Dynamo Moscow is generally considered to be one of the biggest football clubs in Russia as they have consistently been able to perform in the top tier league of Russia from the 1930’s until 2016 when they were relegated for the first time. The Russian club is now working it’s way back into the Russian Premier League and are currently located at the top spot of the 2nd tier Russian Football National League. If Dynamo Moscow is able to secure this top position until the remainder of the season then they will earn their promotion back to where they have traditionally been competing for over 50 years. In the world of football, every country has a club that has been able to represent their nation with impressive achievements and putting the sport on the map not only at a national level but also internationally. 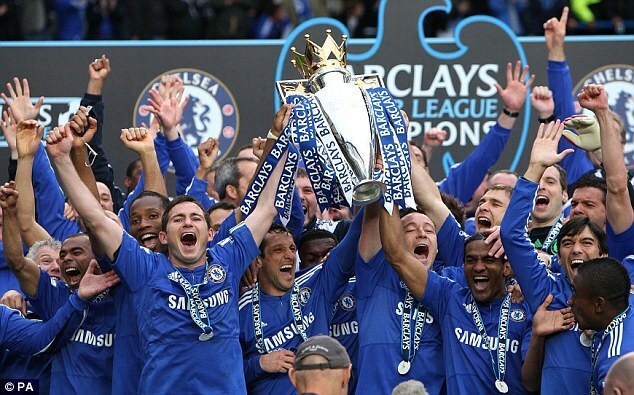 Former Chelsea and Dynamo Moscow forward Yuri Zhirkov has backed Chelsea to win the title this season. He said that they have been the most consistent team in the Premier League and that they deserve to win the title. Yuri Zhirkov said Antonio Conte had brought desire back in the team and that the players are fully committed to him. He believes that Chelsea has the necessary resources to win the title and that they already have a good lead on Tottenham Hotspurs. The former Dynamo Moscow player said that Chelsea was outstanding in the match against Arsenal. They managed to defend in group and counter well and did not give the Arsenal players any time on the ball. In Russia, head coaches are usually natives. Only a handful of clubs are willing to employ foreign tacticians to lead teams. Kirsan Ilyumzhinov was the first club president to break such unspoken rule 16 years ago. He gave Boris Bunyak, a Serbian, the privilege of being the first foreign coach. However, the fairytale ended in a disappointing note as Bunyak could only help the club – Uralan – garner two points after 16 matches. Chelsea defender David Luiz was very lucky to avoid getting sent off when they thrashed United 4-0 in a Premier League game last week. The Brazilian made a studs up challenge on Red Devil star Marouane Fellaini but the referee, Martin Atkinson refused to send off the player for the rough challenge. United fans and Pundits are still debating the actions of the referee. If the Brazilian had been sent off, it would have influenced the game in no small way even though the hosts were 2-0 up. Atkinson handling of the affair raised eyebrows as it makes the third time in seven years that the referee had not ruled fair at Stamford Bridge when they hosted United. “I know what you know. I know what everybody knows. Even when I was speaking to Sky, it was one of their questions, so we all know that. But in the end, it’s the result that stays, and when you lose 4-0, to come and speak about the referee, it looks like you are trying to get excuses,” Jose Mourinho said to Manchester United Television. Manchester United went on to suffer one of their heaviest defeats. It added to the worrying situation at Old Trafford regarding their poor run despite the strong start this term under the Portuguese. “I just hope that the press does the job in terms of analysing that situation but it’s not for me to speak about,” said Mourinho and the press definitely did that. Almost any verdict supported the notion that the Blues player should have seen a red card as against the yellow he received. Three goals from Zenit St. Petersburg in a space of 10 second half minutes was enough to ensure that they thrashed the visiting side, Rubin Kazan in their Russian Premier League encounter. The home team made sure to score an emphatic 4 goals against Rubin Kazan therefore ensuring that they moved up to the third spot on their Premier League table. Goals from Doeminico Criscito, Robert Mak, Giuliano and that of Artemis Dzyuba was enough to keep the home team in the lead before the visiting side was finally able to pull in a late consolation goal scored by their Brazilian striker, Jonathas. In the wake of their last three league matches, Zenit have come off with no less than 12 goals which have now placed them just four points behind the current table league leaders, Spartak Moscow. Zenit had come back fresh from their Europa League battle against Maccabi Tel Aviv on Thursday. They were the visiting side this time around and from 0 – 3, Zenit found their way back to finally end the game at 4-3 thereby beating their hosts, Maccabi Tel Aviv. 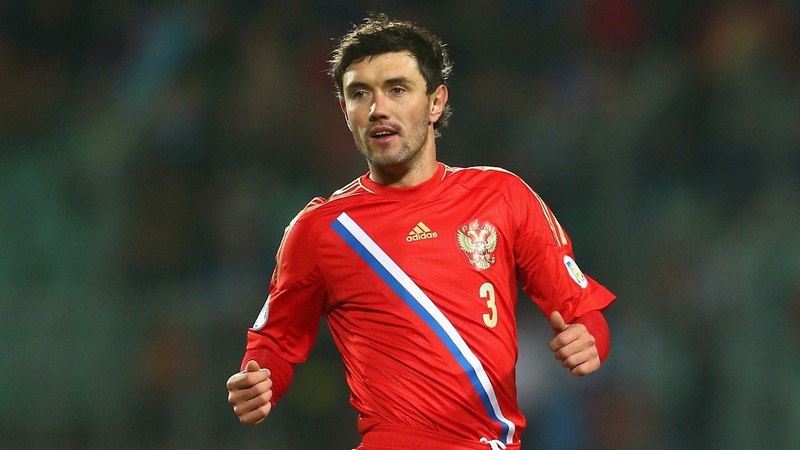 The first goal came after former Dinamo Moscow’s player, Yuri Zhirkov who had joined Zenit during the transfer market in 2016 was felled in the box. Italian left-back, Criscito took the spot kick which brought Zenit one goal up. In a space of 10 minutes Mak, Giuliano and Dzyuba each scored, handing Zenit a commanding 4-0 lead. A consolation goal for Rubin Kazan finally came from Jonathas with just 4 minutes left on the clock. FC Dynamo Moscow has recently experienced relegation from the top tier Russian League, the Russian Premier League saw Dynamo Moscow finishing the 2015-16 season in the bottom spots and being dropped down to the 2nd tier Russian National Football League. Suffering relegation is something that just about every club has suffered at any point in time, not all the clubs in the world have been relegated but the vast majority of them have been. However, when it comes to FC Dynamo Moscow this is a very shocking thing to see as the Russian club had never been relegated before. It’s because of what FC Dynamo Moscow has accomplished in the world of football that Soviet football has been getting more attention for the past decade and historically, their accomplishments have been very important for the world of football in Russia. In 1963, Lev Yashin became the first Soviet footballer to life the Ballon d’Or title which is awarded to the undisputed best football player and Lev Yashin only performed with Dynamo Moscow in the entirety of his career. A few years later in 1972, Dynamo Moscow managed to reach the final of a European football competition after reaching the finals in the European Cup, Winners’ Cup and Dynamo Moscow was the first Soviet club that has reached this feat. All of these accomplishments from Dynamo Moscow helped increase the quality of football in the Soviet Union but they have recently been going through a chain of unmemorable events as Dynamo Moscow was banned from competing in the current season of the Europa League. Being banned from the Europa League at around the same time that a club suffers relegation is a huge blow for any club to experience but this is exactly what Dynamo Moscow has been living with in the past few months. Balazs Dzsudzsak is set to make his mark at Abu Dhabi after his impressive performance at the Euro 2016 for Hungary. He has had moments of brilliance and burst throughout his 12 year career. Arabian Gulf Cupholders Al Wahda are keen on retaining their status, and they hope he would be able to live up to the hype. He made his debut at age 20 even when he was still playing for Debrecen in his native country. He has been impressive for the country ever since. He enjoyed a decent time at PSV Eindhoven until 2011, but hasn’t quite reached those levels for Anzhi Makhachkala, Russian side Dinamo Moscow and Bursaspor. When he left the Dutch club, he was only 24 years, but his sterling performance made him to be linked to several clubs. In 150 games with PSV, he scored 54 goals and created 50 assists from the wing. He spent a brief time at Anzhi, playing eight games before he moved to Russia in 2012 for €19 million. He had off the field issues, with the height being when he was shot at with a paintball gun by the Dynamo Moscow fans of the club as they protested the number of foreign players at the club. throughout his three year stay at the club, he featured for more than 100 games but struggled to score. He could only net 13 times throughout his stay. In 2015, he moved to Bursaspor for just €1.6m, but continued with his poor form. He was desperate to leave the club from as early as December. He was sent off during the period, leaving him with a feature in six out of 19 games. Dzsudzsak has the chance to redeem his image, after years of underperformance in club football. Aged 29, he has been decent for Hungary but is now set to leave his mark in UAE.